The selection and adjustment of the bearing clearance is an important part of the rolling bearing assembly work, and it is an effective means to improve the bearing rotation precision and load carrying capacity, and reduce the vibration and noise of the transmission system. By adjusting the clearance of rolling bearings, the bearing capacity and the rotational precision can be improved, and the service life of the bearing is improved. In the case of no load, the maximum distance that can be moved between the inner and outer raceway of the bearing is the clearance of the bearing. Radial movement of radial clearance for axial movement of the axial clearance. To accurately grasp the clearance adjustment and pre-tightening process, and the correct application in the assembly process, is the bearing assembly work quality assurance. When rolling bearing assembly, its clearance range should be appropriate. If the clearance is too large, it will reduce the number of rolling element bearing load at the same time, increase the load of a single rolling element, greatly reduce bearing capacity, thereby reducing bearing rotation accuracy, increase vibration and noise, shorten the service life; If the clearance is too small, it will increase friction, cause bearing heat, increase wear, Even if the bearing in the operation of the killing phenomenon, the same shorten the service life. 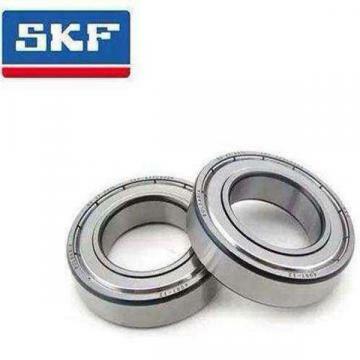 Therefore, the rolling bearings in the assembly need to strictly control and adjust the clearance size. Bearing clearance has a great impact on bearing life, temperature rise, noise, etc., so it is necessary to choose suitable clearance according to working conditions and performance requirements. The clearance of the bearings is divided into radial and axial clearance, respectively, they represent a set of fixed, another set along the radial and axial displacement from one limit position to another limit position. The radial clearance of the bearing, including the original clearance in the Free State before the bearing is installed, the assembly clearance after loading the spindle and the housing, and the working clearance formed under the action of the load. For ball bearings, the most suitable operating clearance is close to 0, and for roller bearings, a small operating clearance is maintained. In parts that require a strong support rigidity, the bearing should have a certain number of preload. This is the principle of determining the radial clearance of a bearing. In GB gb4604-93, the radial clearance of rolling bearings is divided into 5 groups, and the clearance values are from small to large, of which 0 groups are standard clearance. In high-temperature, high-speed, low noise, low friction and other special conditions to operate the bearing should choose a larger radial clearance, for precision spindle bearings should choose a smaller radial clearance. It is important to note that the operating clearance after the bearing installed is smaller than the original clearance before installation, as the bearing is subjected to a certain load rotation, as well as the elastic deformation produced by the bearing and the load. For radial thrust ball bearings and tapered roller bearings, they are usually mounted face-to-back or on-back, with the axial position of a particular bearing ring determining the internal clearance or pre-pressure. Starting from the zero-gap condition, the specified clearance can be obtained by adjusting the thickness of the gasket on the outer ring of the bearing or by loosening or screwing the back of the shaft. There is a fixed relationship between the axial clearance and radial clearance of such bearings, which is sufficient to satisfy one of these values. The clearance of rolling bearings can be reconciled and not adjustable. Except angular contact ball bearings, tapered roller bearings, thrust ball bearings and thrust roller bearings, the clearance is adjustable, the remaining categories of bearing clearance is not adjustable. 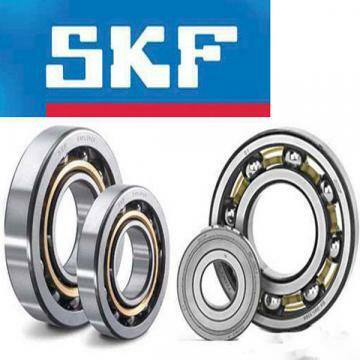 The bearings with adjustable clearance shall be adjusted during installation and in use, and can compensate for the increase of bearing clearance caused by the wear of the bearing in part by adjusting the use process, and the bearings with non-adjustable clearance shall be inspected during the assembly and the use of the clearance. Depending on the inspection results, it is necessary to re-install, repair or replace. There is no large relationship between the axial clearance and the radial clearance, and the axial clearance is controlled directly during installation. To consider individual or paired use separately. If a single bearing is used, since the bearing is separable, the axial clearance after installation requires its own control. The axial limit position of the indicator axis can be measured (displacement of the push and pull limit position); If paired, only the inner and outer rings are to die, and the clearance is controlled by the channel position in the manufacturing process. In high-precision and low-heat situations, can use a negative clearance, the measurement when the push is negative clearance, but a slowly smaller and to negative process, if suddenly too tight, will lead to the burning of the shaft; If the accuracy is not high, the axial clearance is controlled between the 0.1-0.3mm, if the shaft heating is more serious, the clearance needs to be enlarged again. There are many ways to adjust the axial clearance of rolling bearings, such as gasket adjustment method, nut adjustment method, screw cover adjustment method and internal and external adjustment method. The gasket adjustment method is the most commonly used adjustment method. When adjusting, generally do not add gaskets, tighten the side cover of the fixed screw, until the shaft can not be rotated, there is no clearance inside the bearing. Use the Feeler gauges to measure the distance between the side cover and the housing end face K, then add the gasket, the gasket thickness is equal to the K value plus the axial clearance. It is particularly important to note that the accuracy of this method is determined by the quality of the side cover and gasket. A set of gaskets should be composed of a variety of different thickness of gaskets, gaskets should be smooth and smooth, its internal and external edges must not have burrs. 2. Rotate the axis, while observing the roller movement state, is rolling or sliding, if there are 4, 5 rollers in the sliding state, indicating that the axial gap is too large; if all rollers are in a rolling state, the gap is too small, if 2, 3 rollers are in the sliding state is more ideal. 3. It is advisable to combine and contrast various adjustment methods, and if all meet the requirements, the accuracy and reliability will be improved. In the adjustment process of rolling bearing clearance, in addition to meet the general technical requirements of rolling bearing assembly, it is also important to consider the impact of bearing temperature rise and lubrication on the adjustment work, and after the air transfer experiment to carry out detailed testing and two adjustments. The careful work attitude is also the assembly fitter indispensable good quality.